Despite the nibbles (or gorging!) on my garden plants, I truly love sighting the deer. They are such shy creatures. 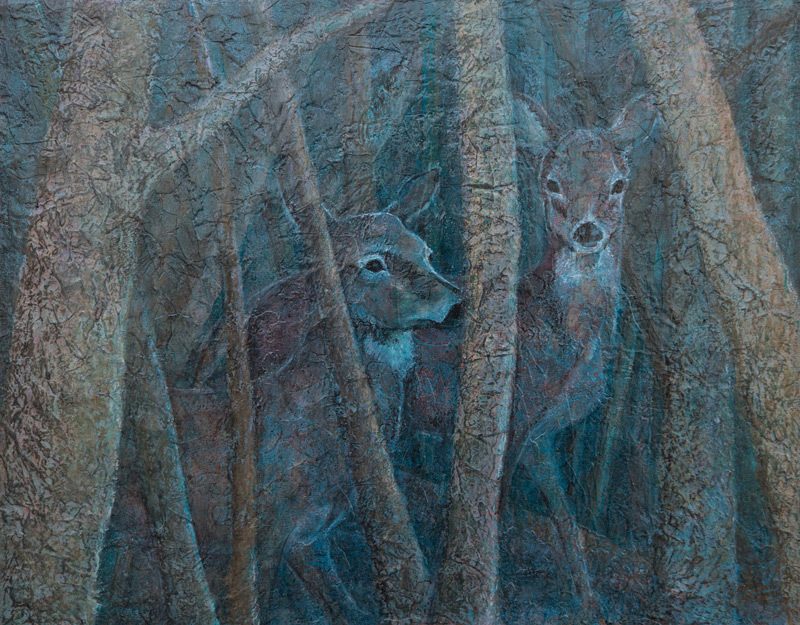 This pair was just 50 yards from my dining room window, well disguised in the woods, they appear and then they are gone!